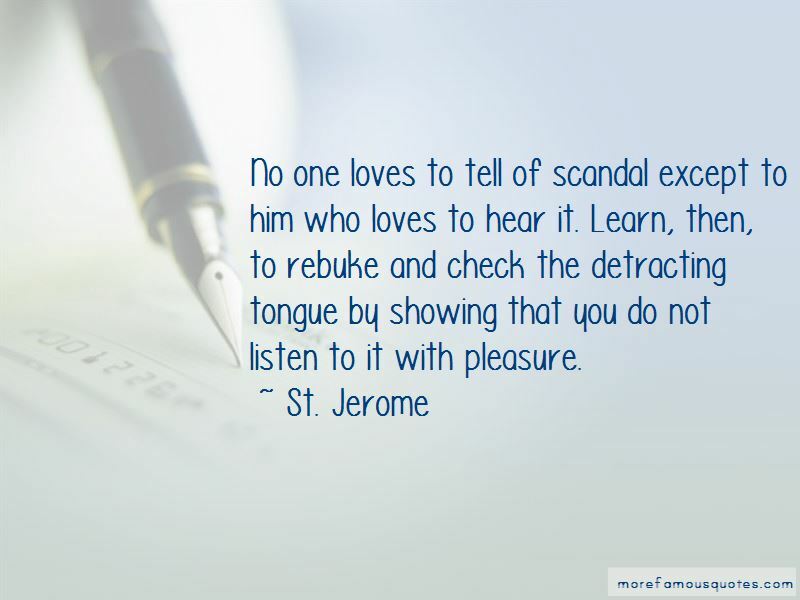 Enjoy the top 116 famous quotes, sayings and quotations by St. Jerome. His to finish what we cannot. Thank God I am deemed worthy to be hated by the world. The best advice that I can give you is this: Church-traditions- especially when they do not run counter to the faith- are to be observed in the form in which previous generations have handed them down ... The traditions which have been handed down should be regarded as apostolic laws. 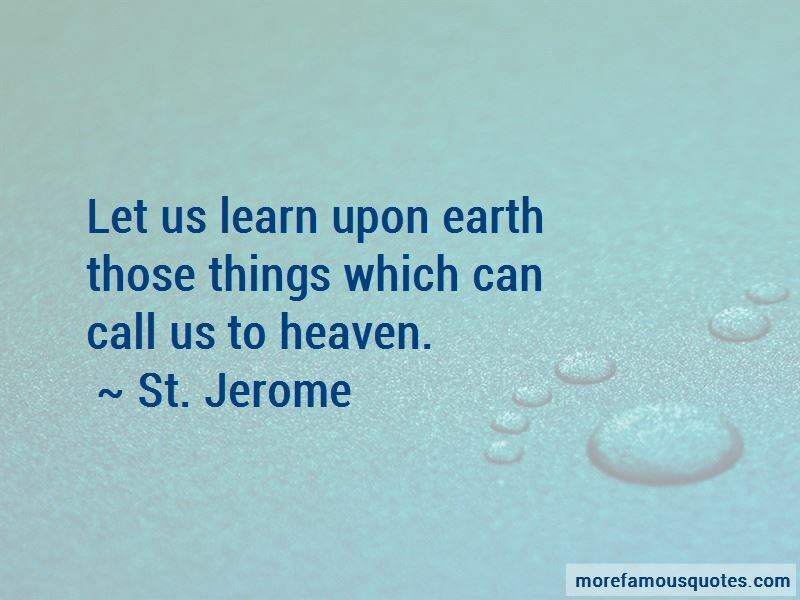 Let us learn upon earth those things which can call us to heaven. Strictly speaking, one should not even rightly compare virginity to marriage because you cannot make a comparison between two things if one is good and the other evil. The most base of men can be civilized through suffering. No one loves to tell of scandal except to him who loves to hear it. Learn, then, to rebuke and check the detracting tongue by showing that you do not listen to it with pleasure. Nothing gives us a greater idea of our soul, than that God has given us, at the moment of our birth, an angel to take care of it. 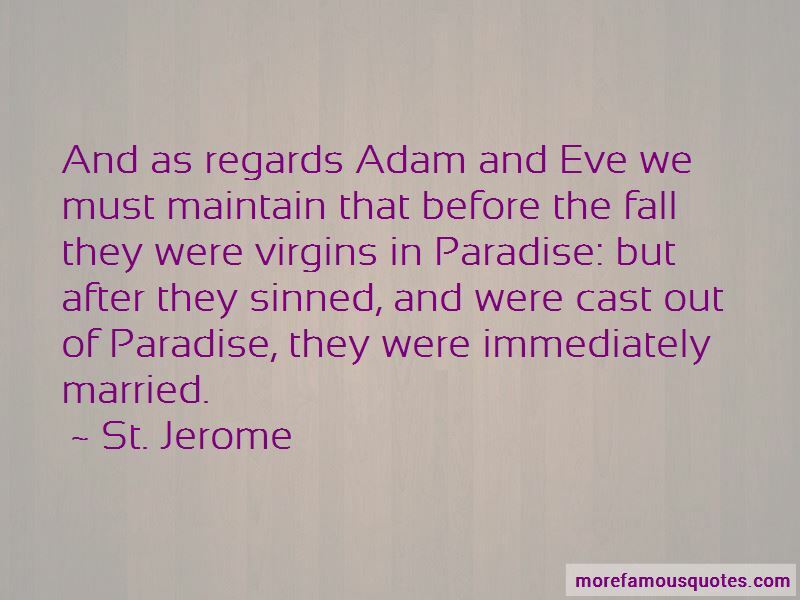 Want to see more pictures of St. Jerome quotes? 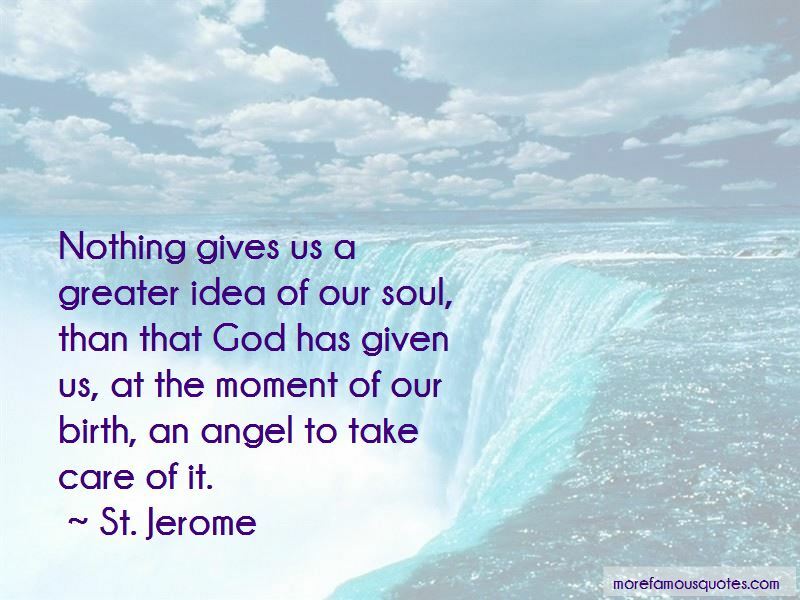 Click on image of St. Jerome quotes to view full size.